Hurawalhi Island Resort is set on an enchanting private island in the pristine Lhaviyani Atoll in the Maldives, it is much like your relationship: it is a perfect match of serenity and excitement, comfort and adventure; it stirs up your every atom with an intricate blend of intimacy and thrill. It is at Hurawalhi that you can fill your days with an unsparing amount of extraordinaires, your mind with wonder, and your heart with romance. The 90-villa, adults-only luxury resort is as brilliant as the ocean that laps against its beaches and more magnificent than any island you have visited. 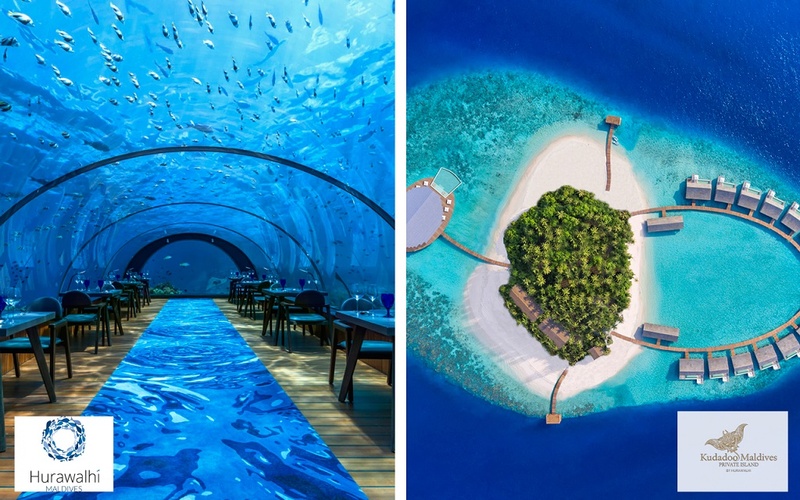 Kudadoo Private Island is taking Maldives’ Resort Luxury to New Heights. A petite slice of paradise that embraces all hallmarks of exclusivity and intimacy, radiates an enchanting blend of relaxed elegance and luxury at every turn. Kudadoo holds the promise of the very best in island escapism at a destination sure to impress even the most discerning traveler.